As allies and professionals we need to emphasize strengths not just weaknesses when portraying adults with autism. With support, people with autism can live inter-independently, work and be productive members of our communities. Autism has many unique advantages for people. For example research has shown that some people with autism outperform others on auditory and visual tasks. There are many jobs out there that give people with autism an advantage. For example if someone has an a narrow focus on let’s say video games or politics, that intense interest could one day turn into a job. Many people with autism may be supersensitive to noise and rely on predictable routines. However we are parents, siblings, neighbors, students, workers, bloggers and volunteers. Each person experiences autism in different ways and at different intensities. One popular saying that I promote is that if you meet a person with autism, remember you have only meet one person with autism. Here are my suggestions for promoting autism acceptance. Write Your Life Story. No matter who you are, you have a story worth telling. Tell people the important things you do for others. Sharing your story will help people understand the experiences of people with disabilities. Your story shows how you can accomplish your dreams. Always project a positive image. Talk about the unique contributions of people with autism. Do not be deficit focused. Research key talking points about disability rights. Then come up with your own talking points. Then think about pictures to use to spread the word. Use your artistic abilities or computer skills to create flyers and posters. Use a camera or cell phone to record your thoughts and post it on Facebook or YouTube. Begin by talking to everyone in your extended family. 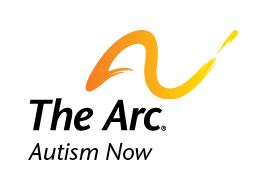 This can be a trial run giving you practice on communicating autism acceptance. Make a plan for getting out the word. Consider making presentations at schools, educating businesses, community groups, medical professionals, police officers and others. Host an event. My local self-advocacy group puts together a disability acceptance float for local parades. Read your local newspaper to find stories about people with disabilities. (If you don’t like reading the newspaper, recruit a friend who does). When you find an article it is good to follow up and write letters to editor to agree or disagree with opinions expressed in the paper. Make sure that all of your acceptance efforts are based on highlighting and protecting the rights of people with autism and other disabilities. Date posted: April 16, 2012. Content created by Self Advocates Becoming Empowered. Last updated: October 2, 2012. Find similar blog posts posted in: Posts by Professionals in the Field. Find similar content about: Community Life, Self Advocacy. I would add “ask autistic people about their needs and wants, especially the ones you serve.” Otherwise, this is great. Excellent addition! Thanks for sharing.